Leiden University acts as a consultant for a Light for the World project aiming for a sign language dictionary for South Sudan. More information click here. The main purpose of the study is to investigate and describe the compound word/sign formation processes in Ethiopian Sign Language (hereafter EthSL). There are different kinds of word/sign formation processes in languages but this study only focuses on word formation of the compounding type. The study was conducted in Addis Ababa where 6 (3 male and 3 female) deaf native signers have participated who were purposively selected. 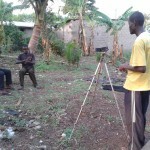 The main data collecting method used for the study was elicitation/video recording. The EthSL dictionary was also consulted as source of data. The data were presented and interpreted in the descriptive fashion. The findings showed that compounding is one of the word/sign formation processes in EthSL. Compounding creates new word/sign units by combining two (or more) simple words of the same and/or different lexical categories. These compounds fulfill the criteria applied to other sign languages such as American Sign Language (ASL), British Sign Language (BSL) and Israel Sign Language (ISL). Out of 1321 list of sign entries in EthSL dictionary, 42 are compound signs. There are also other compound signs used by deaf signers that are not found in EthSL dictionary. Most EthSL compounds are not found in counterpart spoken languages, for instance, Amharic. EthSL compounds are seen as sequential and/or simultaneous in their formation. There are also three types of compounds: endocentric (of which one is a head), exocentric (neither of constituents is a head, meaning is not predictable and coordinate (each of the constituents is a head and both contribute the meaning of the compound). Like compounds of other sign languages, EthSL compounds also display word-like characteristics and in many cases they are not transparent in their word formation processes. EthSL compounds also involve different formation changes in their formational process. Sign languages of deaf communities share formal characteristics specific to signing (Aronoff et al. 2004). Recent studies on emerging sign languages shed light on how these features emerge (Kegl et al. 1999). These studies claim that the language capacity of children was crucial for the development of language-like features. Sharing structural features with the early stages of emerging sign languages, the sign language of Adamorobe, a village with a long history of hereditary deafness, shows that the multi-generational acquisition by children is no guarantee for the development of the typical sign language structures (Nyst, 2007). In Nyst (2007), I propose it is rather the sociolinguistic setting of Adamorobe Sign Language that accounts for its structural features. there is a correlation between the grammatical and phonological aspects analyzed. structural patterns in the languages can be interpreted in the light of their sociolinguistic settings, in particular the language contact situation. This project will shed light on the interplay of two major factors impacting sign language structure; channel-inherent tendencies and sociolinguistic features allowing or impeding their emergence. Project leader: Eugen Phillip, Leiden University / Archbishop Mihayo University College of TaboraTanzanian Sign Language (LAT) is the first language of the Tanzanian Deaf community. However, there is no yet an official policy that gives the language a national status. The Tabora school for the deaf has maintained the tradition of oralism since its establishment in 1963. It is in this linguistic environment that the Tabora variety of Tanzanian Sign Language sign language emerged. Lexically, this variety differs significantly from the variety of LAT as documented in the latest edition of the Tanzanian Sign Language dictionary (Muzale, 2004). 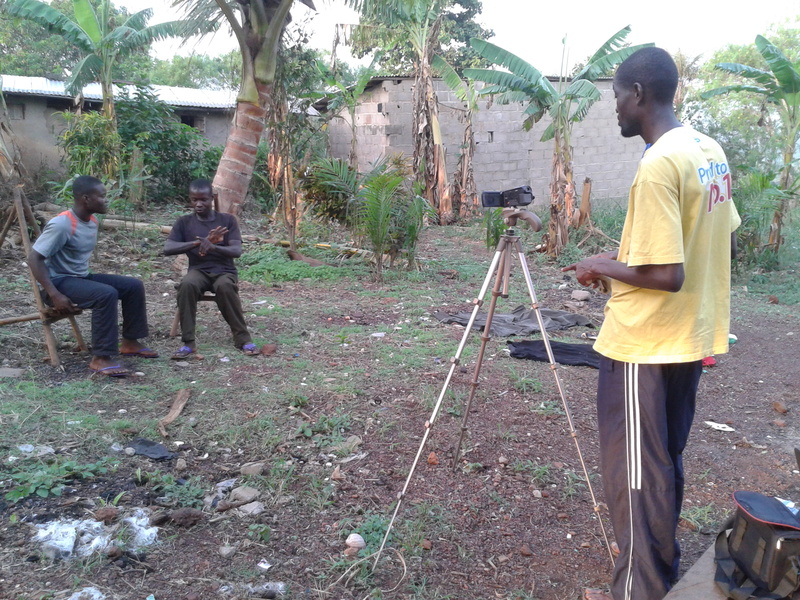 This project will conduct a documentation, description, comparison and analysis of lexical items of Tabora variety of Tanzanian Sign Language (TVTSL) and LAT. The data will include digital corpus that features a representative sample of signed discourse, a lexical database, description and analysis of selected features. Individual Graduate Studentship. Duration: 2010-2013. Funded by ELDP. Like in several countries in West Africa, at least two sign languages are used in Ivory Coast. American Sign Language (ASL) is used in Deaf education and by educated Deaf adults. Deaf people with no formal schooling use various forms of Ivorian Sign Language. ASL is spreading in the Ivorian Deaf community at the cost of Ivorian Sign Language or Langue des Signes de Côte d’Ivoire (LSCI). This project will carry out the documentation and analysis of LSCI. It will include a digital corpus that features a representative sample of signed discourse, a lexical database and a description and analysis of selected features of the language. A summary of the thesis in NGT (Sign Language of the Netherlands) can be found here. (MA thesis, Universiteit Leiden) 1998-1999.